The fourth Jackbox Party Pack will contain Fibbage 3, alongside a collection of other party games. The Jackbox Party Pack has proven to be a crowd favorite in regards to party games. There have so far been three such packs, each containing a collection of various mini games such as Quiplash, Bidiots and Murder Trivia Party. 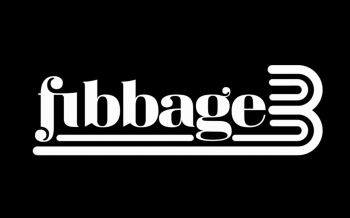 Today, Jackbox Games has announced that the fourth installment in the series, The Jackbox Party Pack 4, is in development, and will contain Fibbage 3 - the sequel to Fibbage and Fibbage 2, one of the most popular games in the pack. The collection will come to all major marketplaces "this Fall", although we don't have a more solid release date. Alongside Fibbage 3, the pack will contain four other games, which have yet to be revealed. Fibbage, for the uninitiated, is a kind of trivia game where the game asks all players the same question. Rather than answering what they think the correct answer is, players instead make up their own phony answer. Players then pick from a list of answers, with only one being the real answer and the rest being everyone's phony answers. You get points for getting the answer right, and also for fooling others with your fake answer. "Especially eagle-eyed fans might notice that there are 10 choices in that screenshot, rather than the traditional max of nine," wrote Jackbox Games in regards to Fibbage 3. "That's because this time around, the audience gets to join the fun by voting on their own decoy lies, and guessing the truth along with the players. Now, fooling the audience can really boost your score, so make sure to get as many gullible people as possible to join!" Alongside Fibbage 3, the pack will contain four other games, which have yet to be revealed. Hoping for another Drawful, personally. Maybe we'll get a whole three colours this time! Wonder if You Don't know Jack is finally returning. You know, that game they're literally named after. Drawful(2) is my favorite out of the bunch. I don't really know what more they could do with it. The third color doesn't add much. Maybe let you erase? But that's actually part of the fun of the game. Your screw-ups = your failures.